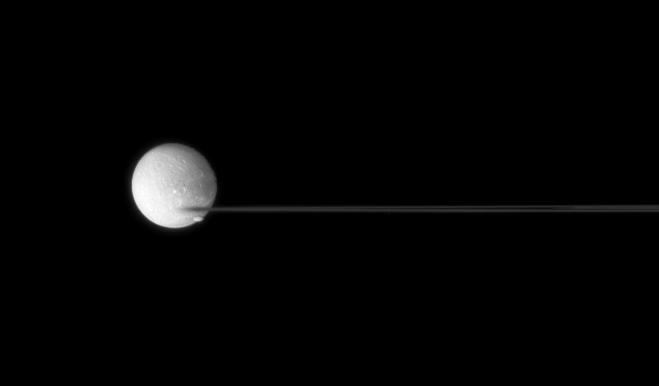 Saturn's nearly edge-on rings are caught between two moons. 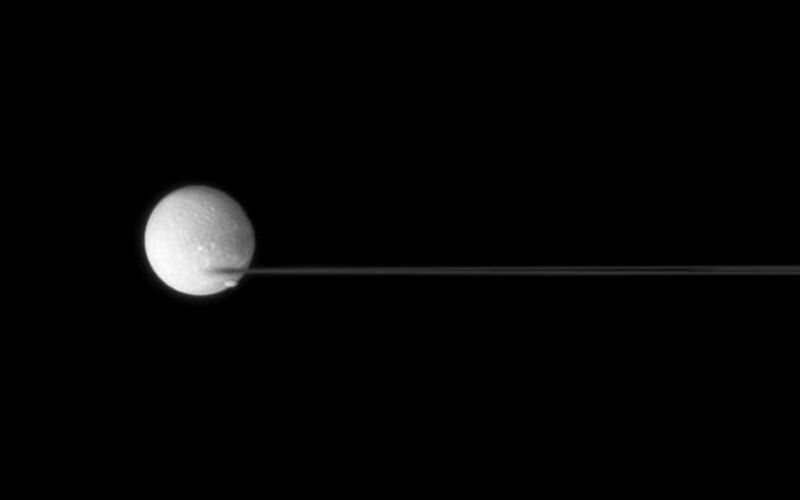 The edge of the F ring has a blurred appearance with bright Dione (1,126 kilometers, or 700 miles across) as a backdrop. 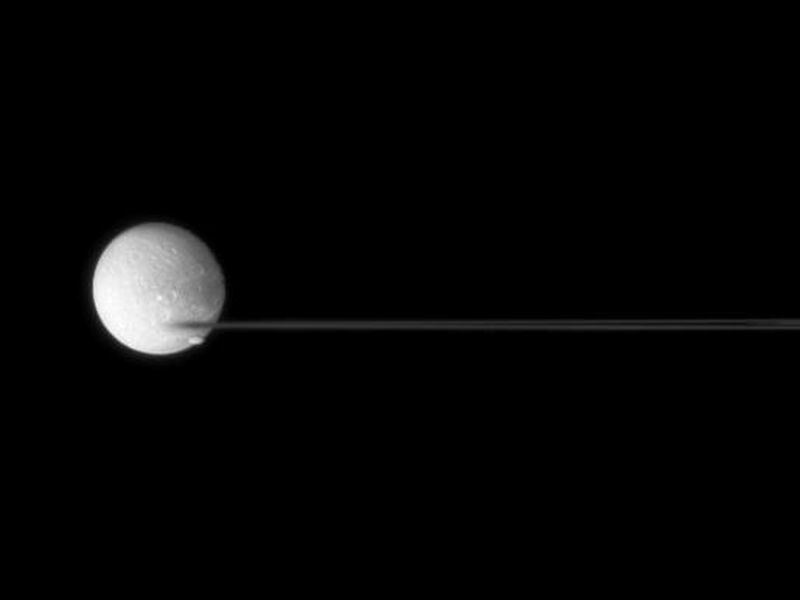 Oblong Pandora (84 kilometers, or 52 miles across) transits Dione and heads off toward right. This view looks toward the unilluminated side of the rings from less than a degree above the ringplane. The image was taken in visible green light with the Cassini spacecraft narrow-angle camera on July 24, 2007. The view was acquired at a distance of approximately 2.2 million kilometers (1.4 million miles) from Dione at an image scale of about 13 kilometers (8 miles) per pixel.